The Social Anxiety Institute is committed to progressive, social justice and does not discriminate in any of its programs. We comply with the ethical guidelines of the American Psychological Association, and follow scientifically valid principles in practice. 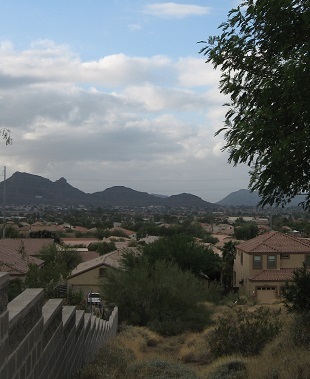 We are located on an acre lot in a residential neighborhood in northeast Phoenix. The SAI house sits on the side of a small mountain, called Buffalo Ridge, which provides for a view of the north Phoenix area and adds to a relaxing atmosphere. The property is private and secluded, and the house itself is spacious, with a large therapy group room that has floor-to-ceiling views of the entire city. The Social Anxiety Institute has been located here since 2001 and serves patients and staff well. There is ample parking behind the house.